In February 2009, legislation was passed requiring every cell phone number in Mexico to be registered to an individual. The law officially goes into effect on April 1, but cell phone providers have had a year to get the word out. If you have purchased a phone since April 2009, you do not need to take any further action. Registering a phone can easily be done through your provider. The required information is your name, date of birth and your state of birth. This information is matched against an existing database, or CURP. Once it all matches up, you will receive a text verifying successful registration. CURP, which is comparable to a U.S. social security number, is unique to each citizen. If you are not a citizen of Mexico, you naturally are not part of CURP. Non-citizens must be fingerprinted and present their passport in order to register a phone. Phones from other countries can still be used without registration. It is vital that everyone takes the time to register any phone which was bought and activated before April 2009. If you do not register the phone, you will find it useless. 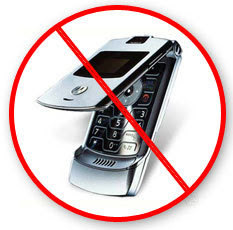 The provider network will expediently deactivate any phone that is not registered by April 10, 2010. While many question why the registration is necessary, others realize that Mexico is actually joining a long list of other countries that have already required each phone to be registered. The law has come about to help law enforcement officials prevent the use of cell phones, both stolen and legitimately bought, from being used in criminal activity. As cell phone technology has advanced, there has been an increase in the use of cell phones in extortion, kidnapping and other criminal activities. By having an active database storing identity information on each and every cell phone bought in Mexico, police can trace and identify users who use the phones in criminal activities. Even though this mandatory registration may help reduce cell phone use in criminal cases, many see easy-to-maneuver loop holes in the plan. First, you can register a phone in someone else’s name by simply knowing their name, birthday and state of birth. This information can be easy to obtain. Also, many question whether there are safeguards in place to prevent someone from using the information of a deceased person. Regardless of the potential to get around the law and use a cell phone for criminal purposes, it will go into effect. The potential for criminal use means each and every law-abiding citizen needs to be very cautious with their phones. It is very important to report a missing or stolen phone immediately to your network operator. This will keep you from being held responsible for what your phone is used for if it is not in your possession.